Thornton Dale's struggles in the top-flight continued with a 10-wicket hammering at the hands of Heslerton. Spinner Dan Jeminson (4-3) and stalwart Andy Slaughter (4-4) had too much with the ball for Dale's batsmen as the hosts were all out for just 42. Stu Pickard then smashed 33 not out as Heslerton cruised to 43-0. Liam Scott was in form with the bat as Staxton moved level on points with leaders Ebberston with a six-wicket win against their title rivals. The league leaders posted 153 all out, Eddie Craggs and Damien Readman hitting 40 apiece and Ben Lockey 34. Scott then top-scored with 65, with Jack Pinder (43) and Dave Morris (29) supporting as Staxton cruised to 154-4. 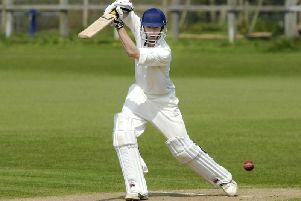 Josh Dawson hammered a rapid unbeaten 75 to help Filey beat Forge Valley by seven wickets to stay in the title race. Forge Valley were all out for 136 despite Sean Pinder hitting 70 as Callum Ferrie claimed 4-29 and Tom Fitzgerald 3-37. Dawson then clubbed 75 not out and Fitzgerald added 39 as Filey cruised to 139-3. Gregg Chadwick continued his superb season with the bat as he hit 110 for Seamer before the rain curtailed their home game against Staithes. Chadwick's superb century guided Seamer to 205-8, Adam Morris hitting 45 as Andrew Theaker took 3-47. Staithes were 82-2 when the rain fell and called a halt to proceedings. Another game that was finely poised when the elements intervened was Scalby's home game against Cayton. The hosts posted a competitive 215-9, Brett Cunningham hitting 71 and Adam Waugh 62, Andy Holden taking 5-28. Cayton were on 88-2 with Aussie James Small unbeaten on 46 and Michael Dennis having hit 37 when the rain fell. Nawton Grange were left frustrated by the rain after they hit 255-7 against Mulgrave, Jodie Robson hitting 63, Charlie Allott 54, Nick Thornicroft 32, Jonny Pickard 30 and Shaun Smith 29, with Mark Jackson taking 5-82. Settrington maintained top spot in Division One after easing to victory at Cloughton. Veteran spin bowler Andy Monkman claimed 4-40 and Jonty Rounthwaite 3-23 as Cloughton were dismissed for 126 despite Ricky Nock's 61 and 28 from Jon King. Stephen Beal's unbeaten 72 then guided the league leaders to 127-3. They are still being hunted down by Great Habton, who claimed 22 points after Staxton 2nds conceded their game. Elliott Hatton continued his superb form with the bat as he hit 66 as Flixton 2nds looked in a solid position before they were frustrated by the rain against Wykeham. Hatton top-scored for the hosts in their 209-7, fellow youngster Luke Smith hitting 58 while Dave Pearson took 4-42 and Dan Peel 3-29. Matty Vincent then hit 28, with Wykeham finely poised on 45-1 when the rain fell and the game was ended prematurely. Ganton and Sherburn both managed to pick up wins before the rain fell. Sherburn beat Scalby 2nds by 66 runs. 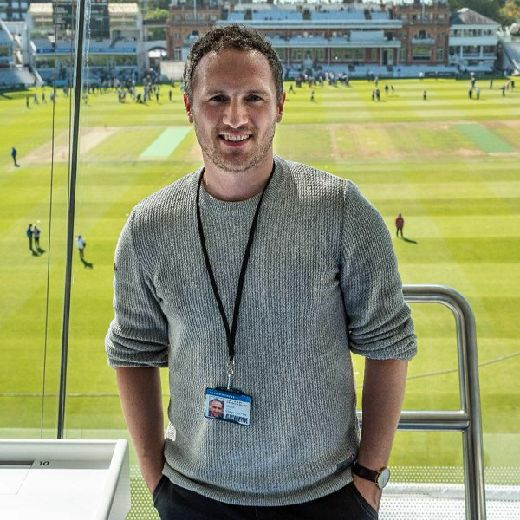 The division's top-scorer, Craig Sanderson, added to his tally for the season with 86 and he was supported by an unbeaten 40 from Daley Wharton, 28 from Leah Dobson and 26 from Ben Briggs in their 224-6, Adrian Hollingsworth doing his best to contain the hosts with 4-39. Scalby were then all out for 158, Lee Kerr hitting 37 and Alex White 35, but the spin bowling of Jamie Thomson (5-27) saw Sherburn to the win. Ganton edged to a tense one-wicket win at Brompton. Ian Cousins was again in form for Ganton, taking 5-13 to help bowl Brompton out for 142, Pete Webster (33no), Mark Bruce (32) and Tom Noble (26) all contributing. Cousins then cracked 31 and Sam Carver 24 in Ganton's reply, Neil Fletcher's 3-32 making things interesting as the visitors lost nine wickets. Ganton managed to edge over the finishing line to seal a tense win.